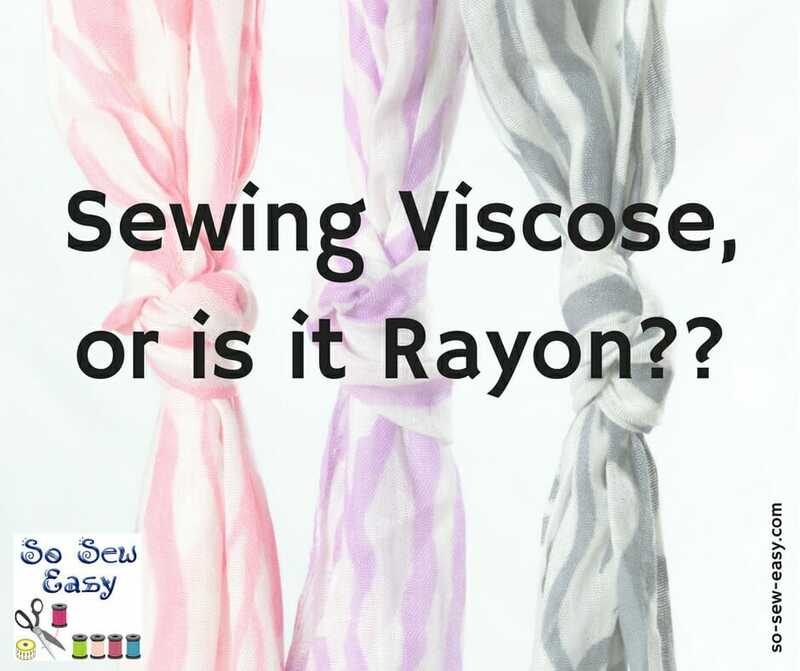 Viscose (known in the US as Rayon) often elicits very strong feelings. Some sewists hate this material, while others see its benefits. I remember back in the late 1980's and early 1990's when this fabric started to be popular and it was used for numerous garments that you would see on the racks in the store. The material does not crease much and was, therefore, a big draw for clothing stores. However, the first time the garment gets washed, it tends to shrink. This often meant a big waste of money, so after a while, viscose clothes went right back on the rack when the shopper saw a label saying viscose or rayon. Today, however, viscose standards are significantly different and many sewists are turning to viscose more often. While the fabric should always be pre-washed before you start a sewing project, that's usually advisable for any material you will be using. Interestingly enough, viscose is made from wood! It's considered a manufactured fiber, but it isn't synthetic –if that makes any sense. The fibers are made of wood pulp which is a naturally-occurring, cellulose-based raw material. Rayon was created to be an “artificial silk.” While that day has yet to arrive, the appeal of viscose has increased in recent years. That may not be the opinion of everyone, however. Viscose is used a lot in blends. In a viscose/linen blend, an owner can be confident they won't have to deal with creases. Meanwhile, a viscose/jersey blend is popular despite having few obvious benefits. For the pro column on viscose, it is available almost everywhere and it's also usually reasonably priced. It drapes very well and looks great and is useful in certain blouse styles. When it comes to the downside of this fabric, it can be hard to cut and sew for those just getting into sewing. Pins fall out easily. Also, the fabric does not work well for a piece of clothing with structure. For that, try another fabric or plan on using an underliner in a different fabric if you do use viscose. If you are planning to use viscose for projects, be prepared for the challenge of sewing viscose. According to Wikipedia, Viscose is defined as “a fiber made from regenerated wood cellulose.” It is also called viscose rayon. The fabric specifically comes from the cellulose of the bamboo plant. This is used to create rayon, which is a popular form of viscose. Rayon is then popular for use in furniture, bed sheets, slip covers and tablecloths, just to name a few. Cellophane is also made using viscose. The first thing people think of when they consider cellophane is plastic wrap commonly used in the home. Viscose has become more valuable and is used in the creation of many products. Rayon, meanwhile, is defined by Wikipedia as “manufactured regenerated cellulose fiber.” Rayon is a manufactured fiber, but it is not considered either manufactured or natural. Instead, it is considered “regenerated,” because a chemical change occurs and the cellulose fiber is reformed or reconstructed. Rayon was originally made for use in home furnishings. It takes dye very easily because it is very absorbent. However, it does not withstand the heavy wear that furniture faces in the home or a business. 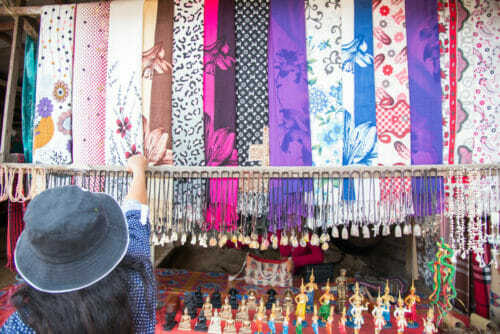 It is currently woven or knitted to create items of clothing. Viscose rayon or modulus rayon are the two most common types of rayon. Therefore, as you can see, it is hard to determine significant differences between viscose and rayon. Instead, you can consider these two types of fabric interchangeable. Your thoughts on sewing viscose or rayon? What are your thoughts and feelings about sewing viscose? Have you had any huge successes or abject failures with viscose or rayon? Please share in the comments below. We'd love to hear about it. I adore rayon, but although viscose sometimes look similar, I am never drawn to it. There is something about it just not the same. I always wash my rayon, as I do with most fabrics I buy, before making anything, and if buying rayon I usually buy a bit extra, just in case. yes that is the best way, treat it as you would linen and cotton. wash then cut. I just love working with viscose and we all like to wear it. I appreciate all the helpful info you’ve posted here over time. I found this article somewhat confusing though as to if there really is any difference between viscose and rayon. You do state at one point that there is not, but the rest of the article seems to try and point out some subtle differences. It came across as,”Yes, there is, but not really”. I’ve read it more than once and am still a bit confused. I never buy anything online labled “viscose” because I’ve never really understood what it actually is, but I buy a lot of rayon, and use it all the time. I love the feel and drape of contemporary rayons. I’m still confused as to what the original plant source is. Bamboo? all of it? If so, why would we ever pay those high prices for the ‘new’ bamboo fabrics? Additionally, I am currently thinking about making some summer pj’s from rayon. Do you advise against this or support it? I do agree about avoiding structured garments. Last summer I made a cute sleeveless top up with a spread collar. The collar, facings, and darts were all disasters! the hubby says it looks fine, but I am always fidgeting with it. Maybe I should iron it with a spray starch. Valerie, lightweight woven rayon is quite cool and makes great summer pajamas, Most of the knit rayons have spandex and/or polyester in them and would not breathe as well and are too warm for me, even with AC cranked down. Knit rayons make great winter pajamas. For durability and coolness, I prefer woven cotton pajamas, assuming you mean actual pajamas with pants and not gowns. Rayon fibers are more delicate than cotton and seams don’t hold up well to a lot of stress in pants. Oh, you may get at least 2 – 3 years out of them, depending on how often washed or worn, and I'[d suggest flat felled seams. I suggest for woven rayon pajamas to make the pants in a loose style, rather than a snugger one. Woven rayon gowns are very comfy. I used to have an ankle length hand-me-down one from the 40’s that was gathered under a yoke. Most comfy gown I’ve ever had. It was cool in summer and warm in winter. I am currently wearing lightweight rayon pants and a lightweight cotton tee to bed. I just had to reinforce or re-sew seams on the rayon. They are a few years old. Do you have shopping resources for quality is viscose fabric? In large quantities? if not fabric.com have good ones. I wish I knew of sources for the really high-quality stuff. When I had a piece of it, decades ago, it was easy to sew because it didn’t shift as much, and it also didn’t wrinkle as much. I’d love to get lots more of that kind. 100% rayon fabric yardage is nearly always very lightweight, no matter where you buy it nowadays. I have bought online on Ebay, FashionFabricsClub.com, FabricWholesaleDirect.com, Fabric.com, and more. Use Google search and put “discount rayon fabric” as the search term. All that I have bought online has been the same quality, and has varied from $3.95 to $6.99 per yard. Most of it, if used for dresses, would require a slip or underlining. It’s not often that I find a true “dress weight” any more that is 100% rayon, but there is some out there. The lightweight is usually what I need since I am in a warm climate. Most of the heavier dress weights are mixed with polyester. I have found rayon twill to be heavier weight than ordinary rayon fabric. 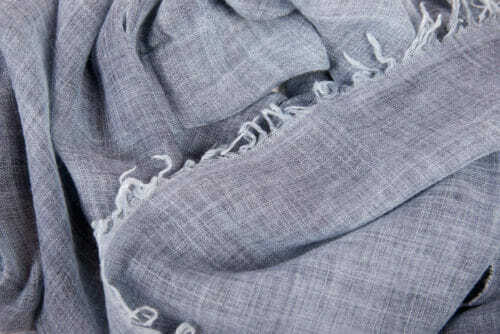 Rayon twill is really nice quality. It’s got the great drape you associate with rayon, but the twill weave makes it heavier and more appropriate for garments in which you don’t want it to be too skimpy or lightweight. Sometimes it’s ‘sueded’, meaning treated in such a way that it has a kind of brushed texture. Really lovely. Google sueded rayon twill and see what I mean. I love the feel and drape of rayon / viscose. I have just finished making a dress from this material – the first time I have sewn with it, but didn’t have any issues. 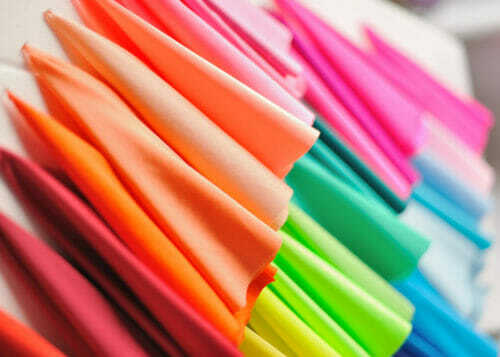 There seems to be so many rayon garments around these days, it is difficult to buy something not rayon! My only beef with it is that it has to be ironed! As a rule, I don’t iron my clothes, but unfortunately I do have to iron anything rayon! That must be the next big thing in rayon technology – wash and wear!! I use rayon spandex knit here and there. It’s very soft and comfortable. It travels well. Even if it looks wrinkly out of the suitcase, the wrinkles magically fall out if you hang in the bathroom while showering. Cotton knit needs more coaxing than that. The problem is that it shows every imperfection under your clothes! That beautiful drape also drapes over every lump and bumb you have. A rayon dress requires an underlayer, so the benefit of its breezy coolness gets lost. I feel a bit self conscious wearing a RS top because you can easily make out the location on my belly button and bra without an underlayer. This is an important consideration for some people, so I thought I’d throw that out there. Back in the 80’s I can remember my mother saying, “stay away from that rayon crap, it’s terrible stuff, it shrinks, it’s very hard to sew and tears easily.” Well, I took her as gospel and have continued to do so even though she passed away many years ago. I think it’s time to change this! There are now so many beautiful patterns and florals available in viscose/rayon that I’d really like to use it for summer clothing. I’m a quilter and use Best Press all the time, so after washing I think I’ll try ironing it with a little of that to give it some body, then I’ll lay on my pattern and cut. This is going to be fun, let alone having some pretty new wardrobe items. I love rayon shirts. I have made many of them, and have bought many of them. As long as you do your worst to it before you cut out your pattern, it shrinks very little after sewn. That said, I first wash the fabric in very warm water, then put it through a warm (not hot) dryer. After pressing it out, you can cut away. Yes it is a little slippery/wiggly to cut and sew. It is SO worth it. My shirts are cool in the summer and warm in the winter. The colors rarely fade. The only drawback I can see is you do have to iron the garment after washing…even if you decide to not put it in the dryer. I love the drape of rayon and it’s more slimming than cotton. I do have more problems with fraying than with cotton. I learned how to sew with rayon but prefer natural fibers so viscose might be better. Hadn’t heard the distinction before so thank you. I usually only sew with cotton (sometimes blended), wool (coats and only Pendleton fabric), linen (only linen not blended), and silk (love silk). In the 80’s my daughter, then about 14,had me make several viscose blouses. They were slick to pin but the smoothness was a beautiful feeling to wear. Thanks for the informative post. I love rayon and used it in the 90s for most of my professional office clothing. My supervisor once told me that I never looked wrinkled! I always washed and dried the fabric in the dryer and it always had a lot of shrinkage. I once had to purchase another half hard for sleeves for a 3/4 length top I was making because of the shrinkage – but I loved that skirt and top. I am now retired but still use rayon for summer tops and skirts. Every summer I make myself at least four pairs of long Rayon“floppy pants.” I live in a very hot climate (summer) and find this fabric so cool and if hung straight away after being wasted, need little or no ironing. Also folds neatly in your luggage. I love rayon!! So silky and smooth. It seems to me there are vast differences in quality among various rayon/viscose fabrics. I’ve had some that were silky and obviously of higher quality, and less fragile than some of the poorer quality ones. A lot of rayons you find in stores in US seem to be fragile and can easily develop little holes or tears. Have other people experienced these things? Have you found some viscose/rayon fabrics that seem to be very high quality? Yes Karen. I often experience vast difference in both quality, softness and thicknes of the viscose type fabric. (or rayon type). I surppose it is a result of different handling of the cellulosepulp, both in chemical ways and in the woven process. It interfaces from thick, sturdy linenlike to the silkiest soft Thon fabric – and everything in between. Frida Bo is correct. I have a knit style cardigan, silky blouse and even trousers like linen and none are blends. I love viscose in all it’s incarnations.